Having received the Best Society Award (2012-13), IRIS - the Photography Society - is one of the most active societies of Gargi College. 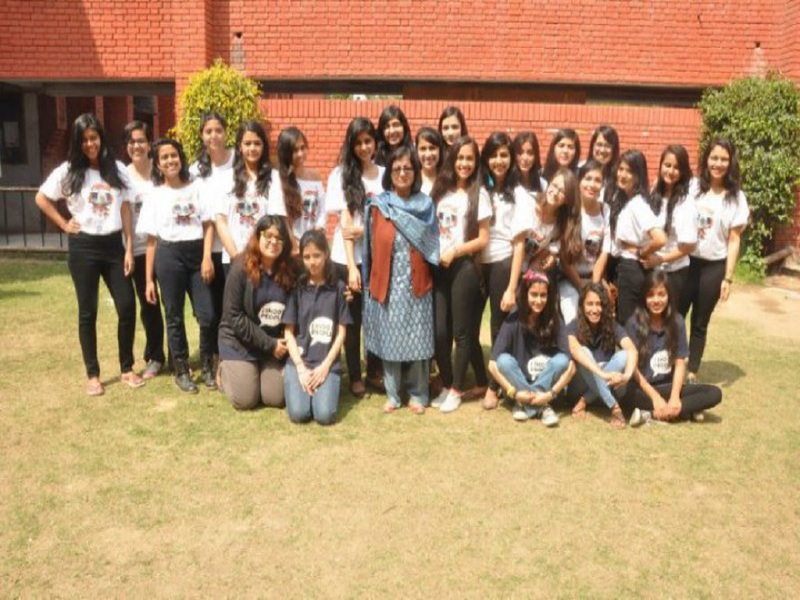 This year, the Society began the year with an intensely packed schedule and a series of consistently timed workshops, wherein professional photographer Ms. Sukhman Dhillon shared her experiences and gave important lessons regarding technique in photography. Every year, the society has actively organized multiple Photo-walks, exhibitions and trips to encourage the budding Gargi cohort of photographers. This year IRIS organized its annual trip to Jaisalmer where all the members of Society freely explored the yellow city and experimented with their respective lenses. Jaisalmer proved to be an exceptionally productive space where the students learnt to engage with a new city through the gaze of the lens. In addition, Iris also organized various other local trips throughout the year to places such as Chandni Chowk, Jantar Mantar, Dilli Hat, Agrasen Ki Bowli, etc.—walks where the society initiated several theme-based projects which largely formed the body of the work they presented at Reverie. Each year, Iris participates in the Annual Cultural College Festival – Reverie and displays the massive corpus of work it produces annually. This year Iris displayed around 400 pictures and canvas on various themes like ‘abstract’, ‘nature’, ‘doors and windows’ etc. Moreover, Iris also organized a photography competition during the College Festival which witnessed an overwhelming participation from students all over the University. With nearly 30 entrants clicking around the themes provided, the spirit of clicking photographs seemed to have engulfed everybody as the stall attracted a lot of visitors. The competitions at Reverie were judged by Mr. Ashok Kochhar who congratulated the team for exhibiting a wonderfully spirited show with a diverse array of photographs. Additionally, this year the Iris Facebook page ‘Photography with Iris’ served as a platform where every fortnight, the undergraduate students got an opportunity to showcase their work based on different themes. JMC -Fotographia '14, Framed-SRCC, NIFT-Spectrum, Zakir Hussain Evening college, Shutter Dreams , Sri Venkateswara college, KMC, Women’s Development cell of Hindu college, Khalsa college, Delhi college of Commerce and Arts, Hansraj -Plickture, NIIT-Ingenuity fest, DTU-Karyon, Hansraj Commerce society fest, Xavier's college of Commerce- Insignia, Psyfiesta-Gargi college etc.